A Past Life Regression experience is a healing modality. Not only can you heal emotional pain, some of which may have led to physical challenges, but you can also heal unhealthy patterns, habits and limiting beliefs. You will also become more clear and positive in your current thinking because you will have a deeper awareness and understanding of the root causes of your current challenges and will gain the wisdom and insight necessary to overcome them. Past Life Regression is performed by hypnotists who, after inducing you into a trance like state, guide you back in time to where your past life events have occurred. It is said that all your experiences from past lives are stored in your subconscious mind and these memories can be retrieved through the process of Past Life Regression. During a Past Life Regression, some people may see clips of a past life or lives and some may see a full motion picture. In some instances, a person may not see anything or may only grasp glimpses of lights and images. However, in my experience, this is not the norm, but the exception, and may be due to fear of the process or inability to allow the conscious mind to relax enough to fall into a deep trance state. 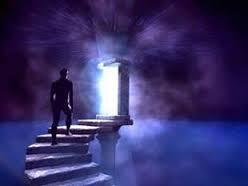 Past Life Regression is a use of methods to retrieve memories of experiences that occurred in other lifetimes. While exploring a past life or lives, healing and change occurs as the exploration process brings to the surface events that have happened to someone in a past life. With past life regression, you can understand the reasoning behind your present situation, your fears, your character and personality, your talents, likes and dislikes and even learn to heal present undesirable emotional conditions. Past Life Regression is a less conventional approach compared to conservative therapies, but its techniques and principals are thousands of years old and have no harmful side effects. You don’t need to believe in past life for it to be a powerful uncovering healing technique. Past Life Regression has been used for emotional and spiritual healing for many years. It has helped people explore their inner awareness and understand why they carry certain traits or are drawn to certain people, or possess a talent or knowledge with no idea how it was acquired. Past Life Exploration can be performed in a private setting or in a group setting. The advantage of a private setting is the continual feedback and past life recall assistance you receive from the hypnotist. However, Past Life Regression in a group setting can be just as powerful and allows for feedback from others in the group as experiences are shared. It has also been said that our souls reincarnate because we have unfinished tasks here on earth or that we have additional life lessons that we need to learn. Past Life Regression has become increasingly recognized by professionals and the general public as an effective healing tool. Past Life Regression has been used to help people release negative emotions, understand and release their fears and anxiety and even help people understand their connection to certain people in their present lifetime. Science supports reincarnation of the Soul. The laws of physics says energy cannot be destroyed and thought is energy. The individual pockets of thought, feeling and experience that comprise our very being and our souls, therefore, cannot be destroyed. Physics allows the human body to contain a soul. Since this process occurs at least once per individual (and billions of times over all, taking the world’s population into account) this “soul behavior” is very likely a “pattern” that can occur an infinite number of times for the same reason any valid physics experiment can be reproduced an infinite number of times. To prove that reincarnation is not true, scientists must identify the specific laws of physics that define the conditions under which the soul enters the body. They will have to identify the laws that prevent indestructible energy from engaging in this behavior more than once, and explain why this behavior is isolated -“used up” after one occurrence – instead of infinitely repeating in a recurring pattern when those conditions are present, which is more typical of energy behaviors. Until they prove it is not true, we can continue to assume energy can repeat this known behavior, just as energy can repeat other known behaviors, and can inhabit successive human bodies over time. At the very least, we should remain open-minded to the likelihood that nothing prevents energy from engaging in this behavior repeatedly and your soul from returning until we can use the sciences to prove otherwise. TRAINING: Trained and certified by Dr. Brian Weiss. Dr. Brian Weiss is an psychiatrist, hypnotherapist and best selling author who specializes in past life regression. He has authored, among many others books, Many Lives Many Masters and Through Time and Healing. Further training and certification by Jeffrey Cohen, born on 11/11/44 (spiritual numbers). Jeffrey H. Cohen is a Board Certified Master Hypnotherapist with specific studies in psychology, past life regression and lives between lives spiritual healing and is the owner and director of The New York Hypnosis Center. I also hold a certificate in Holistic Psychology with specific training in the connection between the mind, the body and the soul. Most guided past life regression sessions utilize hypnosis techniques to relax the mind so the experience can be deep and profound. Hypnosis is a great tool to bring you into that deep state so the experience does not only feel real and true to the mind, but also to the heart. When the heart feels a connection to that internal pain that has been locked up for so long and then releases it with the help of a past life facilitator, the heart will feel like a heavy burden has been lifted. The best tool for guiding a past life regression is hypnosis. Hypnosis is a gentle and safe process that helps the conscious mind relax enough so the explorer can discover and heal the memories held deep in the unconscious mind. The memories that will surface during the process may or may not be actual past life events, but metaphors that were created by the unconscious mind that represent how someone feels about themselves, their life, their relationship with others and their feelings about their environment. This in itself is important information for the explorer because it is the symbolic expression of what needs to be healed. During hypnosis, you are not put to sleep, you are actually guided to a more awakened state; a place in your higher mind where you hold the most insight and wisdom. During a session, you will never lose control of what you might say or do. Your conscious mind, although relaxed, by the nature of being human, continues to be alert enough to keep you feeling safe. You will always know what is going on around you, and you will be able to control what you want to say and what you don’t want to say. The process is simply a tool to awaken you and let you know what is going on deep inside of you. Past life regression and transpersonal hypnosis work is not the same as stage hypnosis. Stage hypnosis is for entertainment purposes only. The work of past life regression and other healing work done with hypnosis is transformational and is a very powerful tool for inner change. Inner change makes outer change possible. Many people wonder if they can be hypnotized. The answer is they can, but only if they put their fears aside and release any need to control the experience. Hypnosis does not mean mind control. When someone tries to control their experience, they are not allowing the natural flow of their intuition to come through when being guided by the hypnotist. Hypnosis is a tool that helps people disengage from all the distractions of their daily thoughts and release their consciousness from the business of the outside world so they can focus within themselves, where awareness is increased and healing can take place. What are the Healing Benefits of Past Life Regression? Hypnosis, together with regression techniques utilized by a qualified regressionist, is one of the best ways to help you recognize your deepest unhealed wounds that are causing disturbances in your life today. If you do not heal these hidden wounds from the past, you will continue to struggle with inner conflicts. Past life regression therapy has been utilized in helping people understand unexplained chronic fears and phobias and also understand the root causes of continual unpleasant feelings such as anger, resentment, distrust, sadness and loneliness. Past life regression therapy has also helped people overcome physical ailments like irritable bowel syndrome, migraine headaches and panic attacks. It has also helped many people understand their soul’s purpose, connect deeper with loved ones, build compassion for self and others, and bring forth wisdom, skills and talents that have been suppressed. Past life regression therapy is gentle, safe and life changing. There is more to us than we understand and past life regression helps to unfold some of the mysteries of who we are as souls having a human experience. What is the Afterlife; Lives Between Lives? The Afterlife is the space between lives where souls go to rest in between incarnations. In the afterlife, they meet with their soul group, guides, masters and council. This is a time to review the soul’s evolution, make contracts, vows and agreements with soul mates and prepare for the next incarnation. A lives between lives session by a qualified practitioner is a powerful technique to help heal relationships of all kinds, heal deep grief and find your soul’s purpose in your current life time. Anyone who is ready to take the next step in understanding their eternal soul would benefit from a lives between lives journey. See Lives Between Lives for more information.